Ralph Booth joined Comptel’s Europe West services team as a contract project manager towards the end of last summer and enjoyed it so much he became a permanent employee by the end of the year. In this blog post, Ralph explains why he was impressed by Comptel’s services proposition and strategy. Since joining Comptel in August 2011, I have found the company’s approach to services particularly refreshing and relevant in today’s market. More often than not for market-leading software providers, the description of services in customer proposals comes loaded with delivery facts, boastful methodology claims and complex resourcing suggestions. In the current market, customers look beyond these brochure-style claims and instead look for a partner to help them evolve, develop and lead. Whilst Comptel is founded on a heritage of successful deliveries, I have found we also have a more relevant services offering that expands our services footprint beyond the traditional delivery credibility into a more engaging and personal service approach. This is what makes frontline services such an exciting and important part of Comptel’s evolving business—we really are all about the customer. Regional Emphasis: Comptel adopts a regional approach to services, positioning teams in local hubs to bring customers closer to design and implementation work. In Europe West alone, we have regional offices in the U.K., Netherlands, Germany, Bulgaria and Italy. A regional approach guarantees that Comptel builds lasting relationships with our clients. Relationships and Continuity: During my induction programme, I learned that the average number of years of service by Comptel employees was around five. This emphasis on continuity is crucial in providing a common approach and retaining knowledge about our customers, their preferences and solutions. The experience within the business of our customers allows us to start conversations from a position of mutual understanding. Relevance and Structure: Services in Comptel are logically structured and include the skills and expertise one would expect, ranging from solution architects, software developers, support teams, project management and ongoing customer care and contact through client management. These defined roles allow us to build sensibly sized project teams with clearly defined roles and objectives that customers understand and can relate to. Furthermore, project team members are accessible and easily contacted or brought on site. Comptel’s customers get to know the personalities who work with them on their deployments! Interaction and Management Accessibility: Comptel values regular internal and external steering boards. These are held to share, assess and track progress of projects. Significantly, the emphasis placed on these sessions means they are well supported, with senior management attending to listen to the feedback. Feedback is also encouraged through customer satisfaction surveys that look to understand what went well and on occasions what can be improved next time. Project Management: Comptel recognises the benefit of good, old-fashioned project management and insists on having a dedicated project manager on all of our major programmes. This approach provides our customers with leadership and direction, but also makes a very clear statement as to the level of accountability the services team feels about its work. To sum up, my impressions thus far are that services from Comptel more than meet our customers’ expectations. 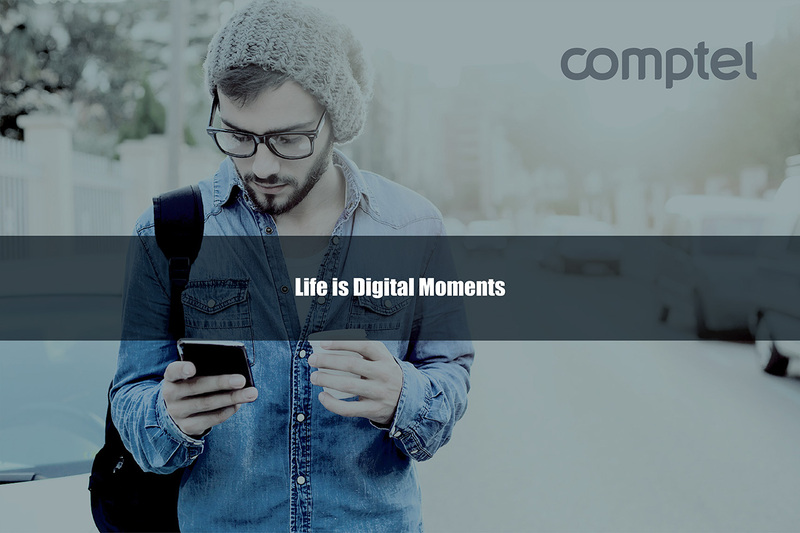 Comptel is large enough to deliver, lead and influence, but is small enough to listen to, engage with and build lasting relationships with its customers. According to a 4G Americas report, Latin America is increasingly deploying HSPA technology and rolling out LTE. Currently, the region has 72 commercial deployments of HSPA technology in 31 countries, with five commercial LTE networks and 300,000 LTE connections expected by the end of 2012. Along the same lines, the Global Mobile Suppliers Association (GSA) recently published a report showing that 300 operators worldwide have committed to commercial LTE network deployments or are engaged in trials, technology testing or studies. This is a significant increase—50 percent, in fact—over the previous year. The LTE evolution is clearly catching on in Latin America, just in time for the region’s networks to be ready for the data boom expected during the World Cup in Brazil in 2014. Over the past year, there has been an explosion of activity in the Central and Eastern European (CEE) online video sector, with operators jumping head first into new market opportunities by offering a variety of new services. Informa Telecoms & Media forecasts that online video Internet traffic in the region will account for 27 percent of total Internet traffic by 2015. Additionally, the number of connected devices is set to dramatically increase, and the growth of such devices will continue to fuel over-the-top (OTT) service launches. However, operators are increasingly adapting when it comes to OTT services by investing in the development of full multi-screen services to attract subscribers and, in some cases, by teaming up with OTT providers. The boom in OTT offerings provides an opportunity for operators to embrace innovation and introduce new value-added services. Do you think operators are able to effectively collaborate with OTT players to create mutually beneficial offerings that will appeal to customers? In 2011, the telecom industry came to terms with two major global shocks—the global economic downturn and the disruption caused by mass digitisation. The downturn accelerated the commoditisation of traditional telecom services, pushing operators to cut costs and increase efficiency. The digital boom encouraged operators to boost network capacity and connectivity, and introduce new services that take advantage of mobile payment platforms and cloud computing. Due to these global changes, the telecom ecosystem is becoming much more competitive as new players from adjacent industries and technological innovation challenge operators. This year, operators will spend more on infrastructure as 4G/ LTE goes mainstream, and make strategic choices by leveraging existing capabilities and building new ones. With the unprecedented choice of services and devices, customers will likely emerge as the winners of the drastically changing telecom landscape—do you agree with this prediction? To continue my reflections on the week in Barcelona for Mobile World Congress (MWC), the event certainly proved once again to be one of the geek highlights of the year, with a show floor full of tablets, touchscreens, techniques and innovative applications. Blackberry (RIM) were making a big splash around the Playbook which looked…reasonable but the same as the other tablets on the streets trying to play catch up to the popular iPad. The company’s decision to not include native e-mail, calendar or contacts applications in its first operating system (OS) may have contributed to the poor reviews, but last week, it showcased the second iteration (OS 2.0) that had been announced in February. It still doesn’t have a complete messenger capability but is at least an improvement, and now offers support for SOME Android applications. Can’t help but feel that they need to stop playing catch-up and look for new innovation before getting completely left behind. Speaking of new innovation, Samsung introduced the Galaxy Note that is trying to blur the device segmentation lines. It’s a 5.3-inch hybrid tablet that can be used as a phone (not a bad idea—maybe they have something here?). Being an iPhone and iPad user myself, I think there is certainly a space for something the size of a Kindle (eReader), as people everywhere seem to be happy carrying them around. I can’t help but think that we may be going from lipstick-sized phones back to the early 90s-sized handset brick. So will it lead to a new generation of pay-as-you-go users who buy one, then revert to using it as a tablet but still have a desire for a pure “phone”? Having one of its larger offices in my hometown, I felt a certain level of pride seeing Intel (“the sponsors of tomorrow”) at the show and demonstrating its ‘from device to the cloud’ innovation. The ‘Intel Inside’ tag was now being associated with two primary themes: a new smartphone built in partnership with Orange and the concept of augmented reality on the handset. The jointly developed smartphone, driven with the type of processing innovation we saw in PC chips ten years ago, was demonstrated using a graphics-intensive driving game—real time rendered onto a TV and mimicking the type of performance you would expect from a high-quality console gaming experience. Then, the booth jockey hit passers-by with a visually jaw-dropping demonstration of augmented reality. The device used its camera to identify the image it had been presented, then through the cloud, it fetched back striking live 3D imagery, video and adverts to explain what you were looking at. Go check it out—the demo video is on YouTube! Impressive to see some true leaps forward in technology and its applications. Microsoft were keen to introduce its new handset to the crowd by challenging passers-by to take the “Windows Mobile Challenge”. The company threw down the gauntlet against popular Android and Apple smartphones on tasks such as sending email, attaching photos to messages and creating contacts. In reality, the biggest challenge being faced by Microsoft is attracting developers to build a comprehensive library of applications that can be used with the Windows OS. The OS blends together Xbox Live gaming, Zune multimedia, personal media (photos and videos), social media utilities, productivity tools and third-party apps, which are organized into categories called “Hubs.” But will the consumer trust it on a handheld device? Historically, you would hear murmurs of freezes, lock-outs and crashes, so fingers crossed that those fears have now gone. It wouldn’t be possible to provide a small snapshot of the show floor without mentioning Android whose manifestation was popular, busy, fun and fresh. But it wasn’t just the ice-cream sandwiches and tube-slide that Android came to show off; in fact, the big message was about the ecosystem, and how through a growing army of worldwide developers, device vendors are thriving. The Google Mobile Blog recently quoted some fascinating figures relating to this Android phenomenon. After talking to VMWare about its proposition for the show, an extremely helpful lead evangelist explained that the company’s major theme addressed how to keep enterprise IT in control of their user accounts. The Bring your Own Device (BOD) trend is continuing to grow at an enormous rate as users become increasingly drawn to a preferred device—and not necessarily the one they were issued by corporate IT. The biggest reluctance from users has to be that they don’t want to carry two handsets—one for work and one for personal, plus the device they have will also carry media and applications that a corporate–approved handset may not permit. VMWare have developed a HyperVisor client for mobile that securely partitions the corporate applications and content from the ‘leisure’ profiles on ‘any’ handset. I say ‘any’, but currently, it’s been launched for Motorola, Samsung and Nokia. The really useful side to this product is the ability for IT to remotely control the handset-based corporate client from a central web-based application, bringing a high level of admin-based security back under control. With a fresh new look and feel, clear strategy and positioning, over 185 pre-arranged meetings with clients, prospects, analysts, partners and the press—it warranted a celebration. Every night ‘Co’mptel invited passers-by and friends to informally join it for champagne and the best tapas in Barcelona! Timo Koistinen, senior vice president of Europe East, (seen here) was more than happy to kick off the celebrations. Up until 2006, this event had taken place in Cannes and was known as 3GSM World. Since then, the Fira Montjuïc had quite adequately taken on the mantle. Looking at the increase of attendees and now the broadening ecosystem of multi-vertical contributors and vendors, the GSMA has made the decision to up sticks and relocate to Fira de Barcelona Gran Via in order to provide approximately 50% more exhibition space. In addition to the usual lottery to get the prime exhibition spaces, the buzz around the event seemed varied, ranging from “well, it’s closer to the airport” to “it’s too far out of town”, but we’ll see. I look forward to another strong showing by Comptel in 2013. It was another sunny February at Mobile World Congress (MWC). Barcelona brought a welcome respite from the tail-end of a snowy winter across Finland and central Europe. The last time I was here was 2009 during my time at InfoVista. I then thought that fifty thousand attendees for an event was remarkable, but this year, more than 67,000 visitors from 205 countries were in attendance, including more than 50 percent of attendees holding C-level positions and 3,500+ CEOs. Although an astronomic figure, it was hardly surprising based on the advances made in technology in recent years. In fact, back then, the sceptics were out in force asking “Why would I need a tablet device from Apple when I have a PC or Mac and an iPhone?”. Looking at the current size of the tablet market, it’s clear that the discussions at MWC are noteworthy predictions of what we can expect to see in the market and at future shows. “Wow, you’ve changed! was the reaction of many of our customers, friends and analysts to the new face of Comptel that was revealed. The new brand with the tagline, “Making Data Beautiful”, that had been publicly announced only days before, took many by surprise but was the catalyst for fresh discussions around new products, solutions and positioning. The usual suspects packed into the exhibition; many of whom weren’t happy with one stand. These “big hitters” such as Huawei, Alcatel-Lucent, Nokia Siemens Networks (NSN) and Cisco—builders of next-generation mobile infrastructures—had covered all bases by appearing with both commercial (marketing) and closed areas. For the commercial appearances, Huawei certainly took the prize for the biggest exuberance as can be seen in the image, with a cascading liquid neon display. The Chinese giants certainly also took the Hateley prize for having spent the most on MWC, and this was clearly visible not only on the expo floor but also all around Barcelona! One of the key business and thought leadership areas for NSN was Machine-to-Machine (M2M). The company discussed an enterprise vertical-focused solution that leveraged a traditional managed service architecture, complete with infrastructure and processes, alongside a service enablement layer with a “smart” object focus. These “smart” objects obviously relate to the new generation of consumer and commercial devices containing SIM or other forms of IP communication to the network—either public or private. The operational and value chain associated with the entire M2M opportunity is still largely undefined and without standards; however, one thing is for sure: the important role that will be played by the application developer community and strategic eco-system partners that communications service providers (CSPs), network vendors and systems integrators (SIs) will need to form. NSN has clearly taken that into consideration for its ‘fully managed vertical end-to-end services’. So what were the top themes this year (that I noticed as an exhibitor)? M2M GSMA, network and OSS vendors, device manufacturers, mobile operators Early technology adopters and innovators only at the moment. Earliest standardisation expected in 6-12 months. Value-chain is open for interpretation! Cloud-based Services Network and OSS vendors, cloud and virtualisation vendors, data centre hosting companies Mobile operators adopting cloud-techniques for operational and cost-efficiency in the midst of severe data and content demand and growth. Bring your Own Device introducing IT security challenges and opportunities for virtual machine providers. LightRadio Network vendors Alcatel-Lucent specifically leading the field with a conference-wide 4G deployment that its execs leveraged to great effect. Policy Control & Charging OSS/BSS vendors Although disputed by Comptel’s 2010 announcement, identified as an important trend in the next 12 months. Actionable Intelligence & Analytics Revenue assurance and OSS/BSS integrators and vendors, customer experience management-focused vendors, network vendors, other independent software vendors Most have “analytics” in their go-to-market pitch; however, as seen, it can be applied across the industry in different forms. Not a lot of “action” in the actionable intelligence! Managed Services OSS/BSS integrators and vendors Aligning with mobile operator needs to outsource and reduce operational and development costs, so they can focus on their core businesses. Application Development Android, Blackberry and a multitude of smaller developers The future is definitely in app development—the “trendy” and “place to be” community of the conference. Consumer Electronics (Smartphones & Tablets) Samsung, Blackberry, Motorola, Nokia—the usual suspects Innovation around an existing theme (tablets). Geeks’ paradise but nothing earth-shattering. Galaxy Note was about the most significant. Near-field Communication (NFC) and Cell-enabled Electronic Payment Operators, innovators and GSMA An attempt by mobile operators to “own” electronic payments using NFC in the handset tied to subscriber identity and profile. New operator-banking partnership opportunities but security regulation is a hot topic. Do you agree with the hot topics I’ve identified? Leave a comment and let us know what stood out to you at Mobile World Congress. Also stay tuned for the second part of my reflections on the Barcelona event. I thought I would have been able to blog more during Mobile World Congress (MWC). How wrong I was though! In retrospect, I have to say I’m not at all disappointed about it, as MWC was a great event for Comptel. Ulla Koivukoski and others can say more about that. In this blog post, I’ve tried to focus more on the product side of things, but first wanted to say something about the way we looked. The launch of our new brand was noticed by all who have known Comptel for a long time. It was great to hear the positive feedback as well as MWC attendees’ curiosity about the new brand. When I saw our new tagline, ‘Making Data Beautiful’, being noticed by one of my favourite technology news sites, it warmed my heart. The Register even gave us a special mention in its MWC coverage (any news is good news, or would you disagree?). To me, it’s very clear how we make data beautiful, but I welcome everybody to discuss it with us—we are happy to share our story with those interested. At MWC, we also unveiled our focus on offering Customer Engagement solutions, where our product portfolio helps realise our ‘event-analysis-action’ vision. It seemed to be well understood and led to some very interesting discussions during the event. In addition, there was a natural interest towards Comptel Social Links and our future plans with that product, which we recently acquired from Xtract. The future of policy control and online charging and the importance of integrating them (which we already did in 2010) still had a major buzz around it. This is not where the evolution of policy control will stop though—it’s actually quite the opposite, and we’re heavily working on new capabilities in this field. Some of those ideas were recently referred to by Alan Quayle in his MWC summary. Comptel Dynamic SIM Management and our Wataniya Kuwait project garnered a lot of attention, too. Many discussions began on how self-care personalisation is a tool and way for communications service providers (CSPs) to enable loyalty, and how catalog-driven order management is essential for such self-care to be effective and cost-efficient. This is especially important when aggregating over-the-top (OTT) and other third-party offerings into the CSPs’ own offerings. During the same week as MWC, Comptel was awarded with an IBM Beacon Award for the Best Communications Industry Solution. I think it’s a great honour from one of our most long-term strategic partners. It was given based on our mediation product, which is being used by about 20 of the 30 largest CSPs (by subscribers) and processes 20% of the world’s usage events. This was a figure that came as a surprise to many, but we have an extensive install base with multi-billion events being processed per day. There lies a key question for CSPs. With data processing volumes expected to grow 10-100 times with LTE, according to various reports published, how scalable is your mediation system, and more importantly, how cost-efficient is it really to scale to these volumes? We expanded on the work we did with Heavy Reading on this topic during the event. We also demonstrated some of the most recent product advances we’ve made, and proved that we are not just talking on a conceptual level but can demonstrate how our products actually work. One of these was the new release of our catalog-driven order management solution. MWC for me is always a lot more than just meetings with partners and customers. It’s a way to see the people behind email addresses. The event brings a lot of people together, and you get to see former colleagues in their new roles and old friends long gone, and build on those relationships, which are very important, at least to me. This relationship building is also very crucial for CSPs to do with their customers; the deeper the relationships are, the more profoundly difficult it is to let go. But like every relationship, it needs to be actively cared and nurtured. And like we say at Comptel, that is beautiful. For some reason, after a rather exhausting event filled with long days and a lot of meetings, I felt somewhat sad to be sitting in the airplane on my way home. Not that I didn’t want to go home, but I very much enjoyed MWC this year. If you had some great experiences, why not leave a small comment here? For those that read my previous blog post about the failing cruise control on my car, the story had a happy ending. The maintenance shop fixed the problem, and I had first-class customer service during the re-visit. I’m starting to move my sights to Management World 2012 in Dublin, where you can also meet us and find out more about Comptel. I don’t want to spoil the event by telling you what we’re going to show there, so be patient, we always have something new cooking. Let’s ‘co’-operate and ‘co’-create better customer engagement until then! There’s been much buzz around last week’s Mobile World Congress, and Comptel can attest to the thought-provoking discussions and ideas that were generated at the show. Analyst firm Informa Telecoms & Media recently held a webinar recapping the main themes and hot topics from Barcelona. One key takeaway was the emergence of global players including over-the-top (OTT) providers, card networks and device manufacturers. According to Informa, these players stole the headlines and are now dominating the agenda for the telecom industry, as operators are becoming their local partners and distributors. They went on to say that with OTT players, operators must strike a balance and find a way to work together, but just how they will effectively do so is still in the works. An example of this balance coming to fruition is Facebook’s decision to work collaboratively with operators in the billing process; however, the keynote sessions indicated that there is still some friction in the operator/OTT player relationship. For instance, OTT providers are generating revenue by using traffic from operators’ networks, which is a sore source of contention. Further, Informa noted that operators were focusing less on technology and more on the role of pricing to appeal to consumers. Some of the interesting discussions were around the concept of moving away from unlimited pricing models toward those that are much more value-centric. At the show and over the past year in fact, there’s been much talk about this change, but some operators are struggling with implementing it largely because of challengers still pushing the unlimited model. However, other operators have revealed that a successful tiered plan is possible if the pricing is structured correctly and the value proposition is effectively communicated to consumers. In all, Mobile World Congress was a great meeting of the minds, and we’re certainly looking forward to seeing how these developments unfold in the coming year. Which trends did you find most interesting at the show? Telecom Mediation: Time to Move Back into the Limelight? Well, as an industry analyst who’s been following mediation and other BSS/OSS markets for quite a few years, I’ve been wondering the same thing myself. Mediation doesn’t get the press attention and conference coverage that it used to, and that’s a shame because we know that mediation plays such a vital role in the telecom back office. Mediation is like the stage crew working hard behind the curtain of a theatrical production. They’re the guys who work the spotlights, handle the costumes, move the scenery and perform the dozens of other tasks needed to support the main actors. In telecom BSS/OSS terms, those actors include all of the functions who get the limelight coverage—billing, charging, policy control, revenue assurance, cost assurance, marketing and fraud management, to name a few. But the truth is that none of those actors would accomplish much unless mediation was there behind the scenes doing the valuable data collection, aggregation and often real-time query work it’s famous for. So why is it that we don’t hear much about mediation these days? Well, I attribute it to a couple of things. First, the number of independent software vendors who sell mediation solutions has dwindled over the years, meaning there are fewer mediation companies eager to get the word out about it. In recent years, for example, AceComm was absorbed by Ventraq. CSG picked up Intec. Narus, a vendor who leveraged its mediation technology in the cyber security business, was sold to Boeing in 2010. Comptel got into the act too, acquiring some of the mediation assets of the Norwegian firm, EDB Telecom, a few years back. A second factor that’s put a damper on mediation’s visibility is the mobile broadband explosion. As the market for iPads, Androids and other advanced mobile devices took off, many of the mediation vendors, including Comptel, built on their mediation expertise to add products in areas such as charging and policy control. Ok, so exactly where does mediation go from here? Will the sector stay quiet, or will we see some kind of resurgence in the next few years? Well, count me as a mediation optimist. I know how deeply embedded mediation technology is in telecom, and I see several industry trends that signal some nice opportunities for mediation to step up and add value. Analysing “Big Data” – Telecom is abuzz over “big data” and “analytics” applications these days. And if that’s the case, then mediation is in a bit of a sweet spot because it’s responsible for feeding and enhancing the data streams for those “big data” guys. And what if mediation stepped up and assumed some of those analytics functions itself? For instance, mobile subscriber location information lives in the network, and a mediation system can gain access to it in real time. So if a mobile subscriber flies to a foreign country, and when she/he arrives and turns on the mobile phone, mediation is responsible for sending the subscriber a promotion to sign up for a special in-country roaming plan. Consolidating Multiple Mediation Platforms – Plenty of operators own more mediation systems than they care to admit. But you know the story: “Time to market is more important than achieving mediation system commonality.” Sooner or later though, high maintenance costs dictate it’s time to consolidate. And talk about bloat: one operator recently consolidated 40 mediation systems onto a single platform. Converging Mediation Functionality – The software vendors are getting more clever at building mediation systems that handle multiple functions. They can do batch as well as real-time on-line transactions in the same architecture. Fixed-line and mobile services, pre-paid charging and post-paid advice-of-charge can all be done in one place now, making consolidation on an advanced platform more attractive than ever. Merging within Multi-Operator Groups – Large multi-operator groups can greatly benefit from mediation consolidation. Here I refer to cases where usage data is collected and distributed, say, across four countries and served by a data centre in one of them. One operator we know, a Comptel customer, manages 43 million subscribers and two billion transactions a day using this approach. A key advantage here: mediation expertise only needs to be maintained in one location. Offloading Processing Power – Services in the mobile data world generate a ton of usage. And the need to extract intelligence from that data is coming from two directions. First, marketing seeks to promote services and generate more revenue. Then, engineering looks to optimise the use of expensive network resources. Mediation is the logical place to offload much of that usage processing. Not only does mediation have access to the data first, but it can often process that data at a fraction of the cost. The latest mediation platforms utilise X86 and Linux blades that can deliver the same processing power at one tenth the cost of a traditional system. As we know, most telecom IT shops are religiously attached to UNIX. But because mediation’s home is in the network, it’s politically acceptable to diverge somewhat from IT’s architectural preference. Maybe it’s unrealistic to expect mediation to move into the limelight. Mediation has thrived quite well in a supporting role. And it can certainly remain working quietly behind the scenes. Yet, the opportunities are tantalising. If mediation can offload even a small percentage of mobile broadband bucket computation and analytics, then mediation’s value to the telecom back office is guaranteed to grow very nicely. Dan Baker is the research director of Technology Research Institute (TRI) and has been following the BSS/OSS market since he formed TRI in 1994. He has just released a major 600+ page research report entitled, “Telecom Business, Fraud, Cost and Revenue Assurance: State of the Market and Practice”. This week has truly been one to remember in Comptel’s history. 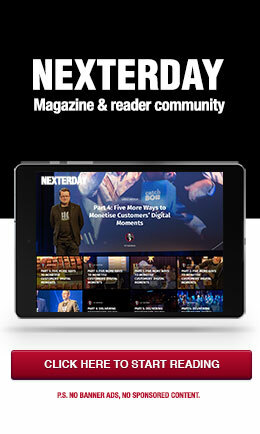 We not only launched a new brand in time for Mobile World Congress 2012 but also won an IBM Beacon Award! Comptel’s convergent mediation solution was honoured as the Best Communications Industry Solution yesterday at a ceremony held during the IBM PartnerWorld Leadership Conference in New Orleans, Louisiana. Comptel’s vice president of North America, Brad Niven, picked up the crystal trophy for us, and we are eagerly awaiting its arrival to our Helsinki headquarters. Along with the IBM Beacon Awards, the IBM PartnerWorld Leadership Conference offers insights on business analytics and growth markets to help our customers, communications service providers, succeed. IBM and Comptel have a long-standing partnership—we have won several customers together where Comptel Convergent Mediation has played an important role. One good example is Movistar Argentina, which was announced last year; Comptel and IBM jointly helped the operator to not only collect and transform more than 400 million network transactions daily into billable records, but also efficiently and effectively deliver and charge for advanced mobile services. This proof point and others were evaluated by leading industry influencers and IBM executives to win us this award. We are delighted to have stood out among the hundreds of nominations for the IBM Beacon Awards and hope to continue our fruitful cooperation with IBM in 2012 and beyond.